Are you an Escape Room owner or Escape Room employee looking for game plans or props? Improbable Escapes has got you covered! Improbable Escapes first opened in 2015. With a brick and mortar escape room located in Kingston, Canada, Improbable Escapes quickly grew and established a Game Development division. 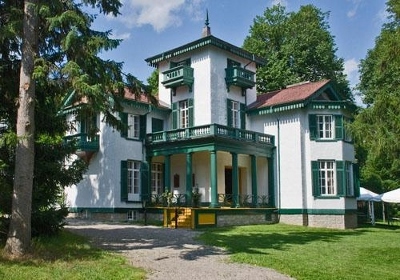 With partnerships established across Canada with Parks Canada, St. Lawrence Parks Commission, Fort Henry National Historic Site, Bellevue House National Historic Site, Murney Tower National Historic Site, Kingston City Hall & more, Improbable Escapes became leaders in the industry by creating the first "pop-up games". Speaking across North America on the gamification of history, Improbable Escapes continues to grow and educates people on learning through game play. Improbable Escapes has been selling props and game plans internationally since 2015. We specialize in game props, mini escape games, and pop up games. Our game development team has been working in escape rooms since the industry's infancy. With a background in skilled trades, electrical design, set design, puzzle design and more, our team creates 5-star experiences for our brick and mortar location in Kingston, Canada, as well as for our customers. Kingston City Hall, Fort Henry National Historic Site, Murney Tower National Historic Site, Bellevue House National Historic Site, and many more!